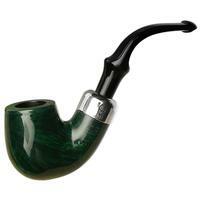 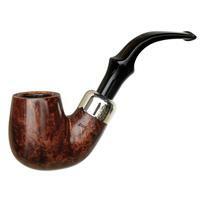 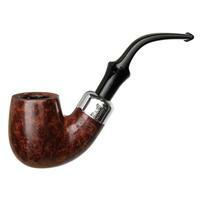 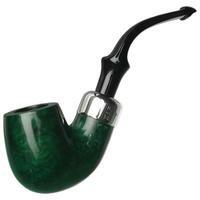 The "312" is one of Peterson's iconic bent Billiard renditions. It's marked by a sweeping S-curve, with the shank, transition, and bowl all displaying the robust muscularity for which Peterson has become known. 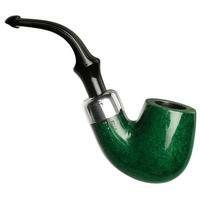 As part of the the St. Patrick's Day 2019 line, this one wears the Irish marque's signature emerald stain and a military mount of nickel that both adds some aesthetic flash while also enabling the pipe to be broken down even when hot. Within, then, you'll find Peterson's patented System engineering, the 2019 rendition of the St. Patty's line being the first to ever feature System pipes.